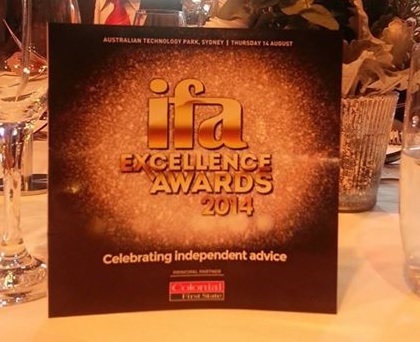 LIFE Financial Planners is proudly one of seven finalists from around Australia to be nominated in the national Independent Financial Adviser (IFA) Awards for Excellence – Best Client Servicing Company. As the only WA finalist we are honoured that our commitment in providing outstanding service to our clients has been recognised by the leaders in our industry. We recently returned from the awards in Sydney and while we didn’t win this year we are very proud to have been chosen as one of the finalists among our leading peers. The nomination culminates an outstanding year by Life Financial Planners. Not only does the company mark its 10th anniversary on 1 October 2014 but as part of our continuous drive for service excellence, Marijana is now a SPAA Accredited Self-Managed Superannuation Fund Specialist Adviser.